License plate bulbs are used to illuminate the rear license plate on your vehicle. 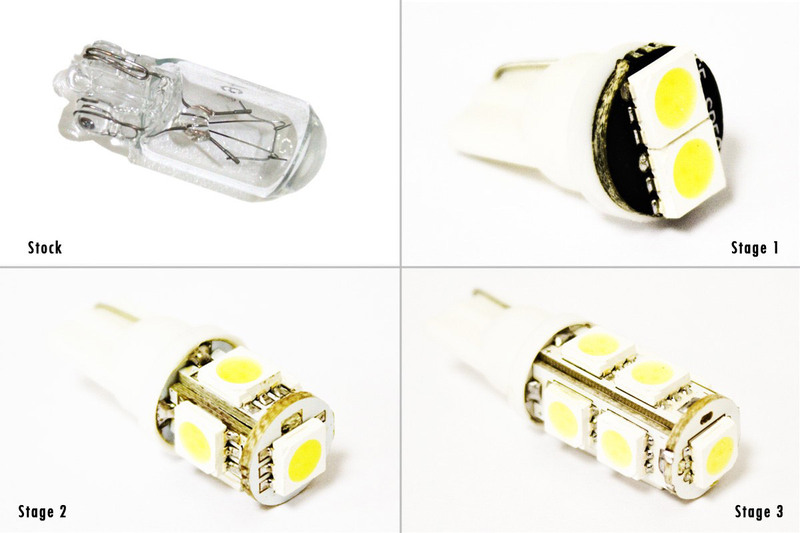 From the factory, the bulbs are incandescent, lighting up in a yellowish color. Newer luxury cars use LED modules to illuminate the license plate with modern, cool white light. By changing your license plate bulbs to LED, you can easily add this luxury look to your vehicle! With low price and easy install, this is one of the best, easiest modifications you can do to improve how your car looks at night. 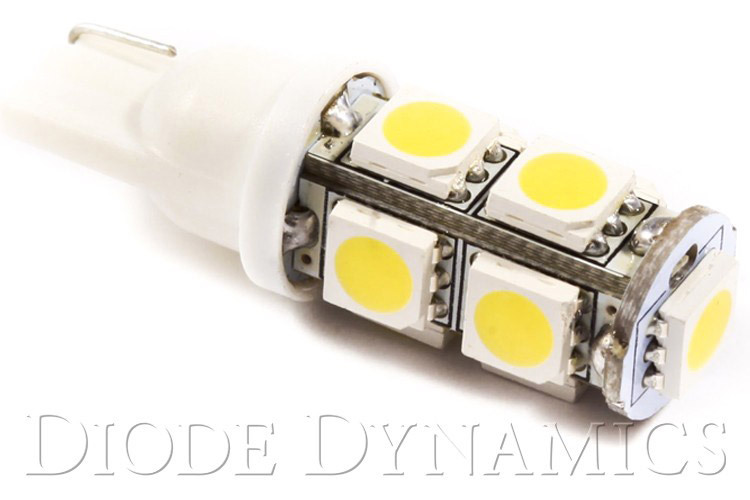 SMD2: Slightly lower brightness than OEM bulbs, but still provides the crisp, modern color of LED. HP3: Slightly higher brightness than OEM bulbs. 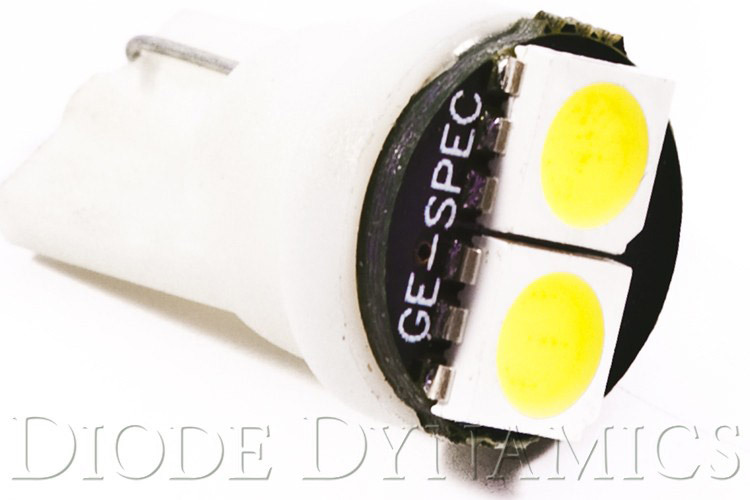 HP5: Nearly triple the brightness of stock OEM bulbs! SMD2. Compact design, with two 5050-size Epistar SMD chips, driven at high power for maximum effective brightness. Outputs at 180 degrees. HP2. 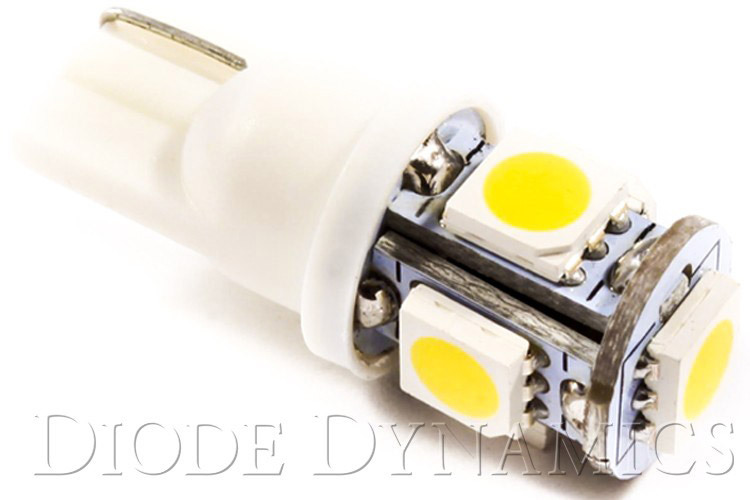 This bulb uses a single OSRAM high-power chip, with high resistance to defeat bulb-out warnings in some German vehicles. Enclosed in an aluminum cover, with diffusing lens. Fitment. All bulbs use a quality inject-molded 194/168 T10 terminal, with a full-size base connector and proper pin alignment, designed for exact replacement of your factory 194 bulb. Just remove the old bulb, and plug in the new LED.